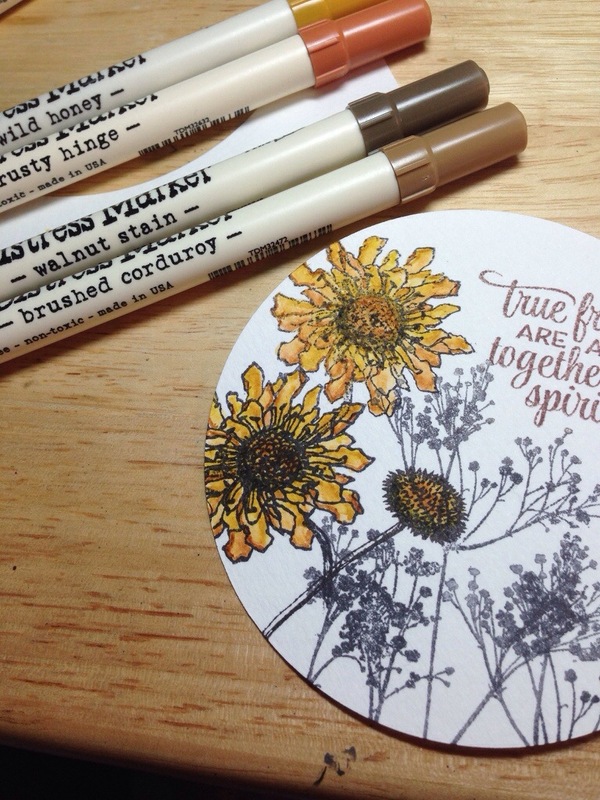 When I saw the “Love Notes” challenge at Simon Says Stamp Monday Challenge blog, I thought first about romantic gestures, of course. But that will be a later project. My next thought was of the baby book I’m creating for my son. I consider it one big love note, something that will tell him how much he was loved right from the start, in case his mama is not around to tell him sometime. My own baby book served that role for me, once, so that’s a big part of why I started scrapbooking. The page I’m sharing today also covers a different kind of “love note”. A musical one! This page shares a little song that my husband made up for our little guy just a day or so after he was born. We are always making up silly little ditties around our house. Learning: Lots of innovations and new combinations of techniques here for me. I’m mixing media like never before, and I think I’m starting to hone in on a style I can be proud of. Loving: I love how the repetition of circle and heart shapes worked out. I think it makes the straight edges of the lyrics pop all the more. I like how the hearts are there, but definitely a muted and unobtrusive part of the background. I had a lot of fun with the “letterpress” style of the Martha Stewart stamps too. My husband and I recently finished reading the His Dark Materials trilogy. In these fantasy young adult fiction books, a spunky young girl gets into all manner of adventures across many worlds and is helped along by friends and a marvelous “truth-teller” device called an Alethiometer (aka a golden compass, but don’t bother with the movie of that name because they really muffed it). 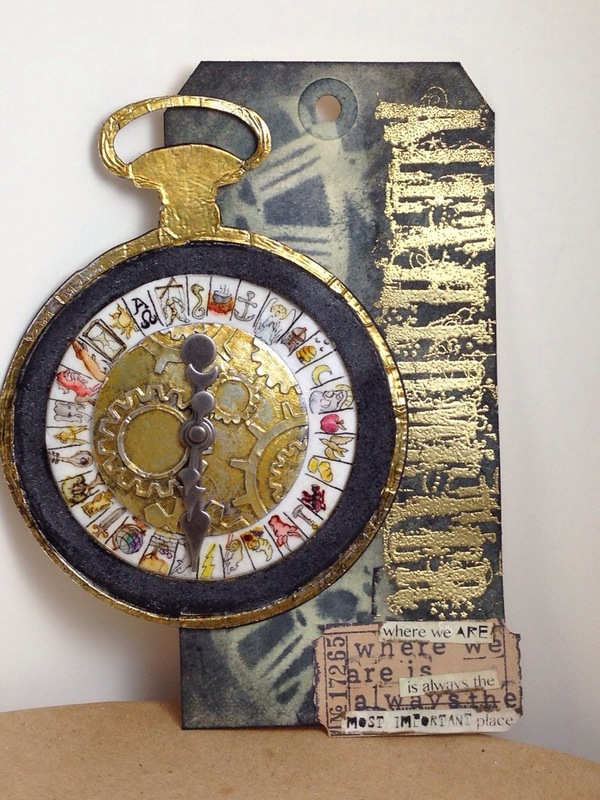 So when I saw the January 2014 Tim Holtz tag with the “pocket watch” die, my mind traveled to a pocket watch version of the Alethiometer that I made him for the holidays. 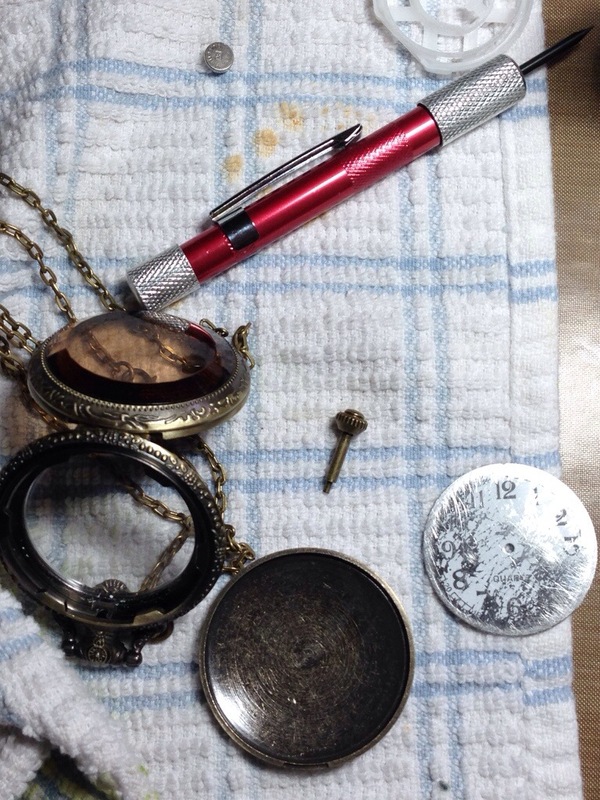 I dissected a pocket watch and attached a printout that I had carefully sized and sealed to the watch face. It turned out really well, and still works as a watch, even! But when I made it, I regretted that I didn’t have time to draw the many symbols myself. I just got the imagery from the internet and combined with some pearl inlays I had created previously in photoshop for a different project. So I thought it would be great to use the pocket watch die to make an Alethiometer of a size where I could draw the symbols in for myself. 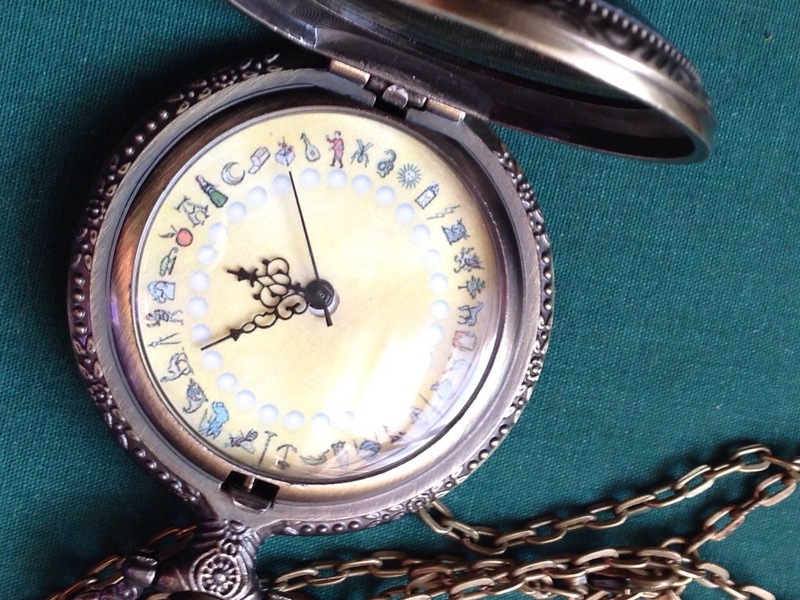 Otherwise, I followed much of Mr. Holtz’ tutorial for the pocket watch and the background. Ingredients: Manila tag size 8, Sizzix Frame Pocket Watch die, Sizzix Alterations Circles, Super fine gold embossing powder, Glossy Accents, Sizzix tickets decorative strip die, Tim Holtz clockwork stencil, Holtz Grunge alpha stamp, Distress inks and markers, Martha Stewart lettering stamps, Stampers Anonymous Odds and Ends, Archival ink, Idea-ology game spinners, Micron pen, Darice embossing folder, Grunge board, Tarnished Brass Distress paint, and some words I printed. Whew!! Learning: I screwed up the count on this. For some reason I thought there were 32 symbols, but by the time I got to drawing to the last few symbols, I realized that there were supposed to be 36! Oops! At the same time, I don’t think 36 would have worked out proportionally. It was hard enough to draw in those tiny spaces as it was! My other mistake was that I had the foil side facing up when I went to cut the pocket watch. So I had to flip it and reroll it in order to get that impressed inner rim. This made the whole thing a bit more fragile, so I backed it all with a diecut piece of paper. Loving: Grunge board was really fun to work with, very pliable, fun to cover in foil and cut! I also loved how nicely the ticket stamp matched the ticket die. The words on the ticket die were a happy accident. I initially tried to spell out my quote with Martha letter stamps but my experiment didn’t fit well. So then I printed out what I wanted in a small font. I was going to just use a fresh ticket diecut, but then I realized that my printed word strips were so small that they fit between the stamped lines for a cool echoed sentiment. I love the way that worked and will file that idea for use again! 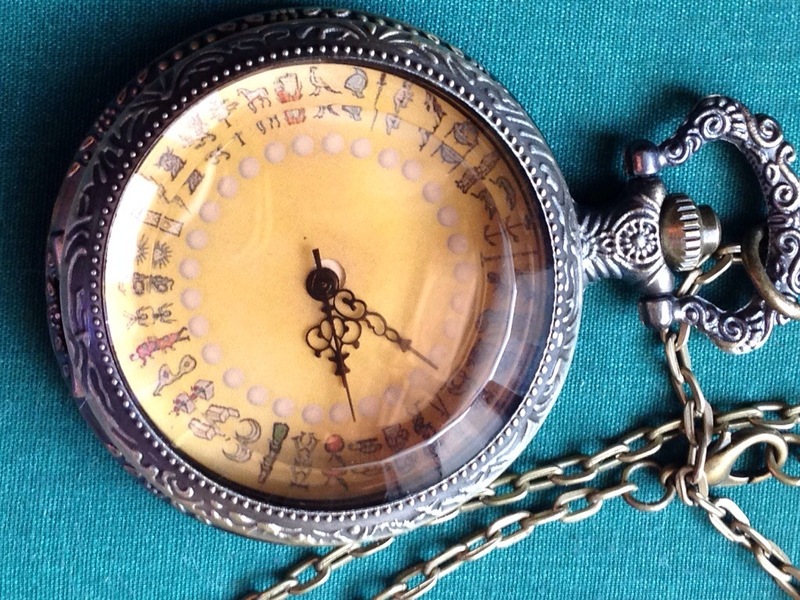 I also like the way the embossed word “Alethiometer” looks. 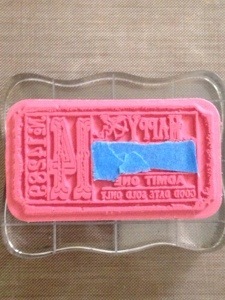 I had to cut apart the Grunge alpha stamp which was tedious but so worth it! To make the gold pop a bit more, I blended more black soot ink over the gold embossing. C you’re a Cutie full of Charm! 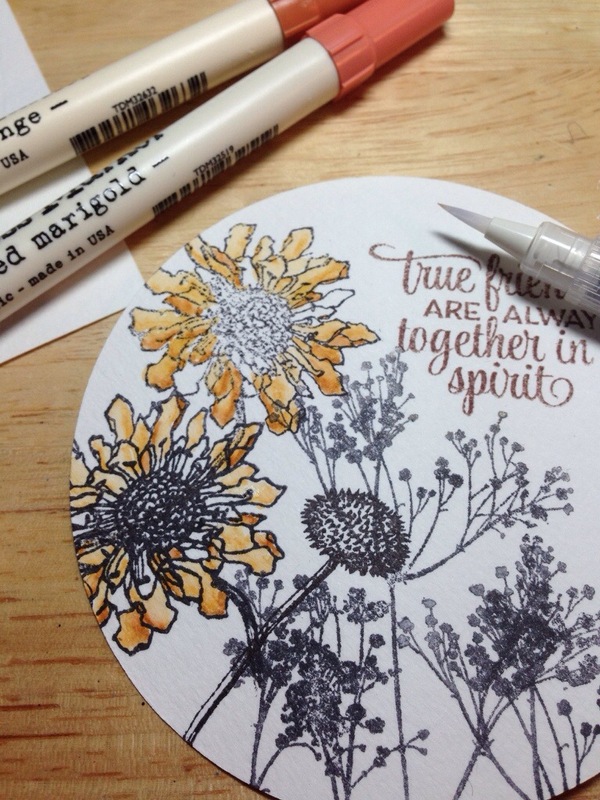 The “A is for” challenge at the Simon Says Stamp Monday Challenge blog, initially made me think of the word “alethiometer”, but that’s a project that I’m planning for the Tim Holtz January tag, and I don’t like to mix challenges. I’m just mentioning this as a tease, in case my husband is reading. He’ll be quite interested in an alethiometer project. So my second “A is for” thought was of a John Lithgow kid’s rendition of “A you’re Adorable”, and who is my little charming cutie these days? My little boy, of course! 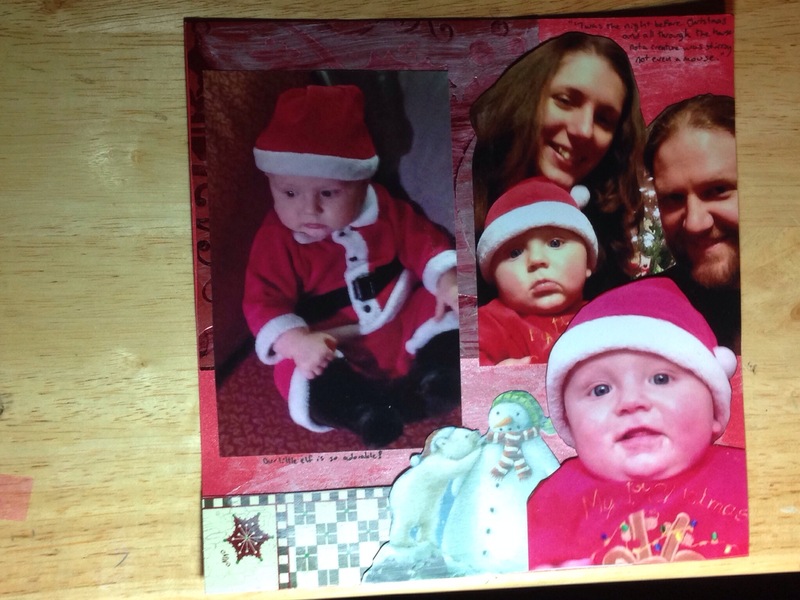 I just had holiday pictures printed out, so it’s high time to make a 6×6 scrapbook spread for my son’s baby book. 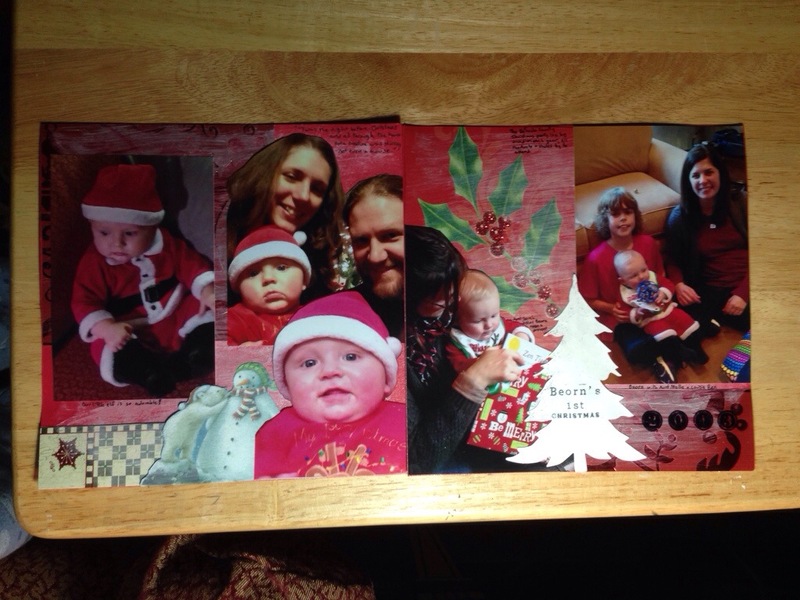 My other little idea was that I wanted to use some of this season’s received holiday cards in the background. I tried to tie it all together and push the bold cards into the background with some gesso and a little Perfect Pearls for shimmer. 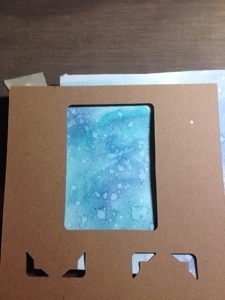 Learning: This was my first experiment with gesso, and I really like the translucent coverage. 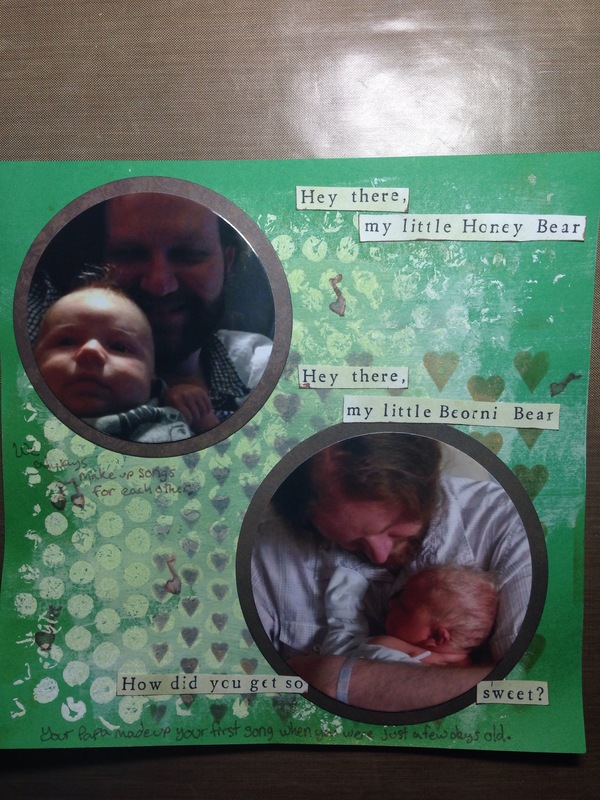 I’m not the most experienced with scrapbooking, but I think this went better than some of the previous ones I have done. I think doing a two page spread was a good idea, giving me 12×6 to work with, so I will definitely try that again. 6×6 is pretty tiny, but it’s for a baby book and I want little hands to be able to hold it in a few years. Also, I need to work on my photo setup for large scrapbook pages and spreads! Loving: I’m happy with how the photos look fussy cut. 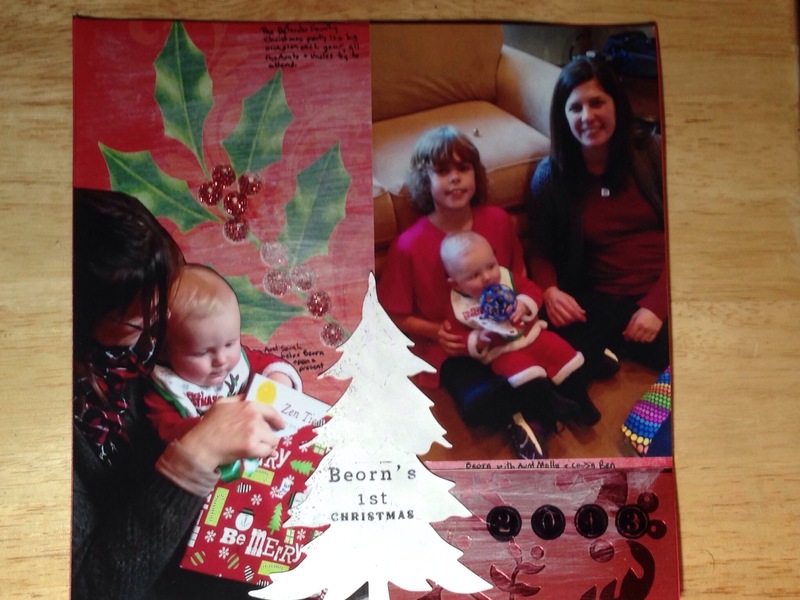 I really enjoyed giving some of the holiday cards a second life. I think the gesso really pulled everything together, and made a great surface for writing on. And of course, being sentimental, I really love seeing my baby’s great pictures! He is the most adorable in my eyes! Over the holidays, I had planned to meet up with my oldest and dearest friend. She lives overseas, but comes back home at most twice a year. I dearly wanted to meet her new and very significant other, and I also wanted her to meet our new baby! Sadly, our baby picked up something very contagious at daycare and shared it with his parents, and by the time we were all well enough for visits, my friend had already returned to Italy. I hear that such things are quite normal with small children. Oh well. 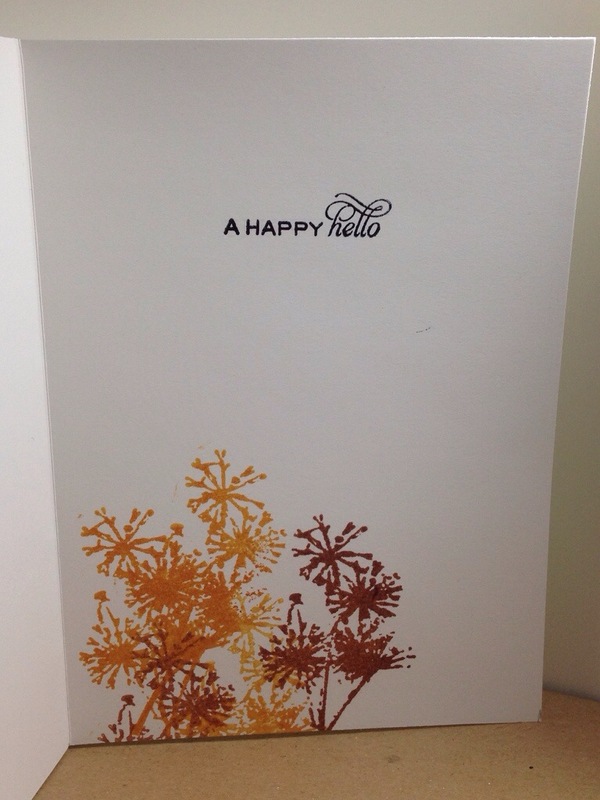 So I wanted to send her a nice card. I chose stamps with flowers that remind me of Ohio summers, thinking of our youth and Girl Scouting adventures. I also wanted to give my newly expanded set of Distress markers a good test. So here was my coloring progression. A base of the darker colors. In general, darker and cooler colors should go where you think would be furthest from your imaginary light source. Then I blended the colors a bit with my waterbrush before moving on. I wanted to see how much coverage and mid-tone I would create with the water before moving on to lighter and brighter colors. Again, I spread the petal colors with the water brush. Then I moved onto the centers of the flowers. Brushed Corduroy is greenish, and therefore a cooler color, so it became the base for the shadowed areas of the centers. A little Walnut Stain for the darkest areas, and to color in the stamen. I later went back with a Micron to outline some spots where the stamp impression came out a bit too light. I finished up with some green for the stems. 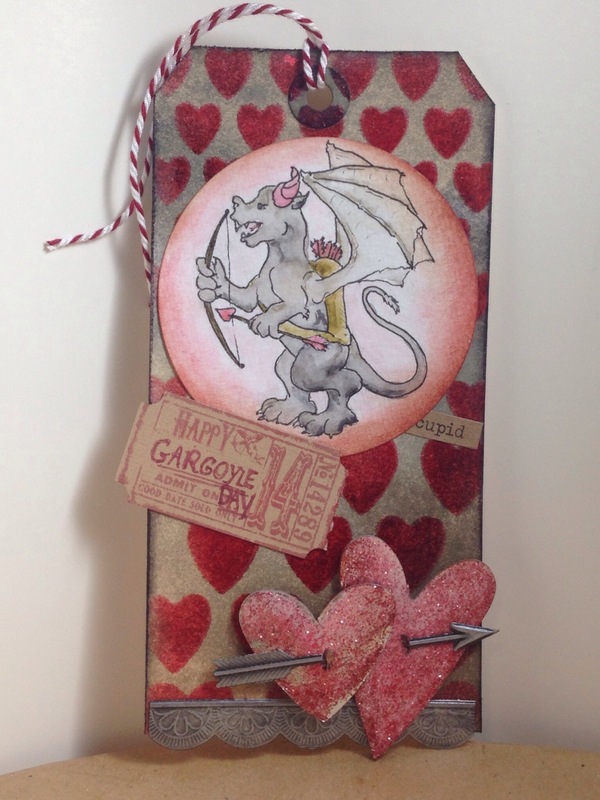 I’m entering this into the Anything Goes challenge at Simon Says Stamp Monday Challenge blog. 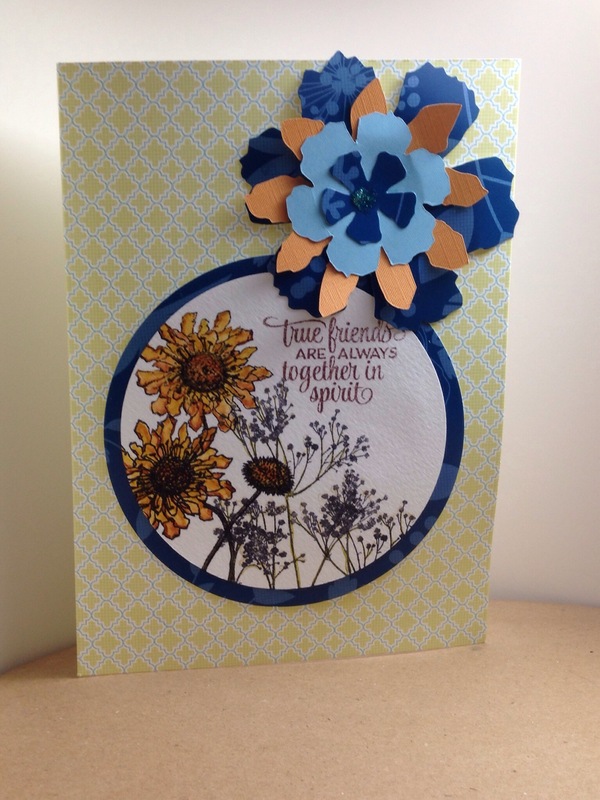 I feel like the biggest area I can improve on with this card is my stamping. I’m having fun combining stamps, but I need practice creating combinations that don’t overlap in awkward ways. Maybe masking would help. I also need practice getting a good impression for the purpose. 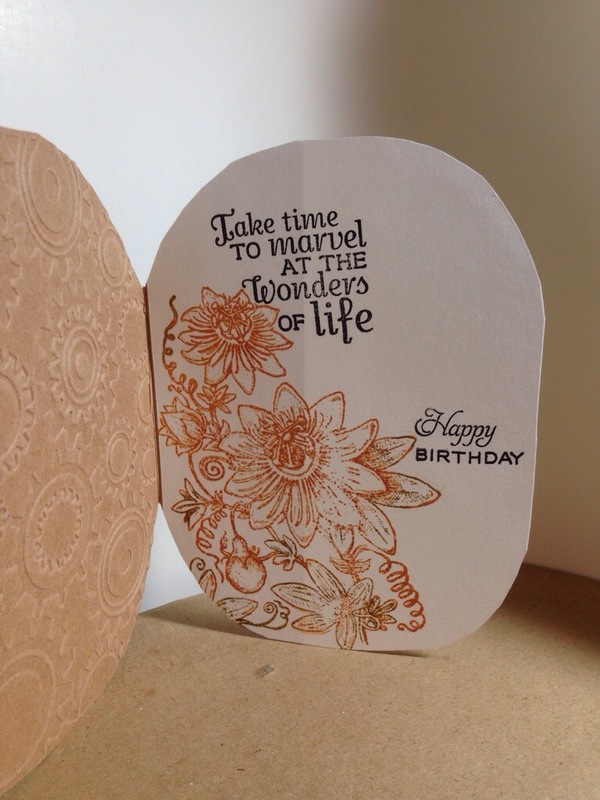 I feel like in stamping to color, an even impression is really important. 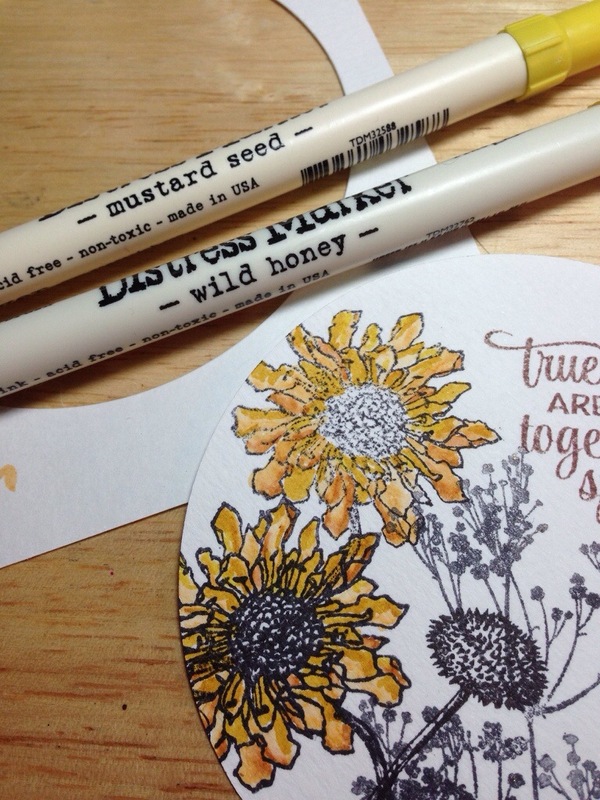 I think the lower flower came out too dark, obscuring the coloring’ and the upper impression of the same stamp came out too light, forcing me to outline with a Micron to prevent it from looking too different from the other flower. Fading stampings might be a great way of creating distance in uncolored stampings, but it didn’t work well for me here. 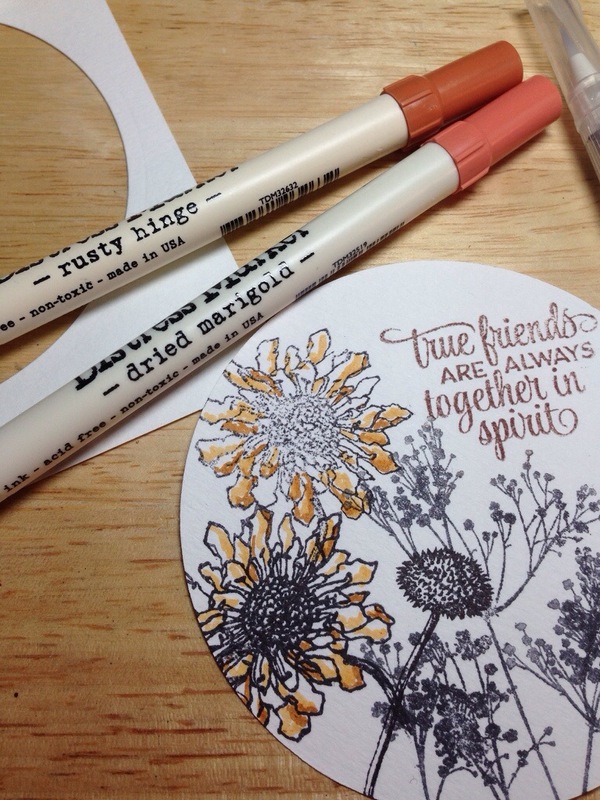 I love the color combinations and how the markers worked out. Those watercolor brushes are so much fun to blend with! 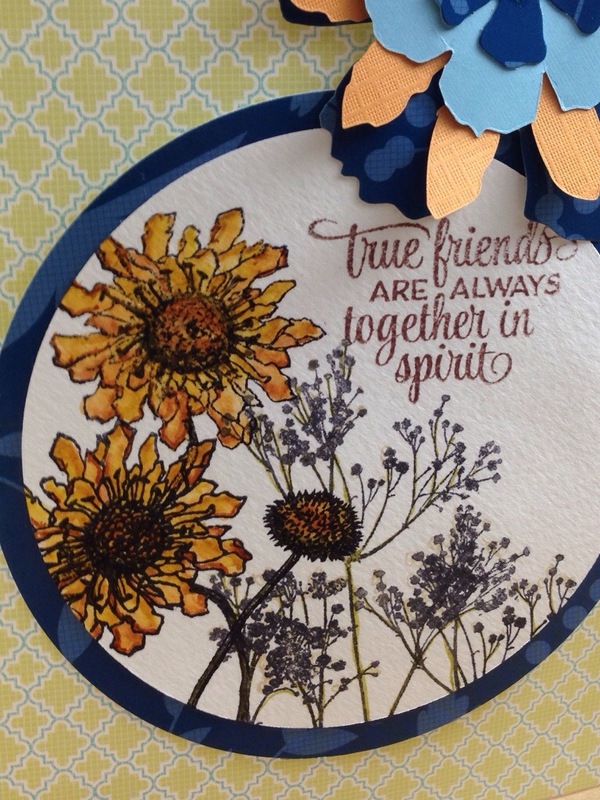 I also had a lot of fun alternating colors with the Tattered Flower die, which I hadn’t used much before. My favorite thing was combining the stamps, because I feel like they made a great wildflowers scene, despite some of the impression issues. A while back, my group of work friends decided that we should bring back magnets as souvenirs whenever one of us went on a cool vacation. Just something to bring a little fun decoration to the ubiquitous metal filing cabinet. Since I had a baby over the summer, vacations aren’t really on my horizon for a little while. So I’ve had in mind making my own cool artsy magnets for my friends. At first the question was format. The tag dies that I have are pretty small, so I decided an Artist Trading Card (ATC) would be a good size. 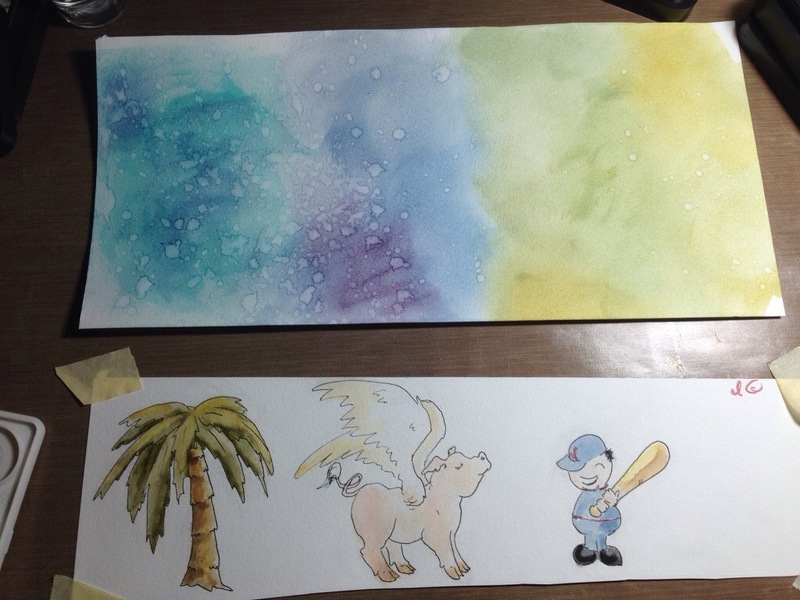 I picked up some watercolor paper recently, thinking that might be a preferable medium for using Distress inks. I started by doing some drawings, first in pencil, then in Micron. I don’t think of myself as much of a line art illustrator, my preferred drawing style is more about realistic shading, but sometimes I surprise myself with some decent cartooning. Maybe I’m getting better as I get older, or maybe I’m just starting to accept that my style is somehow cutesier than I intend! Whichever it is, I think these came out really great! 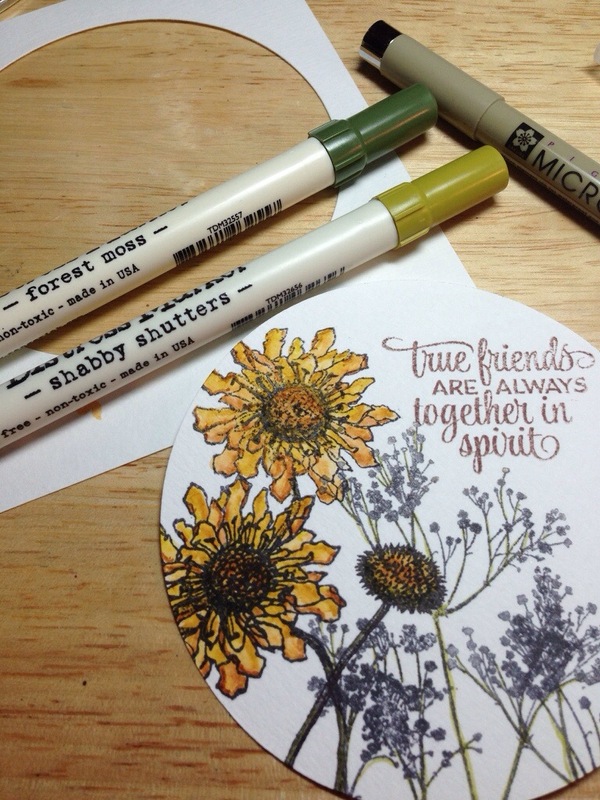 I colored them with distress inks (using a paintbrush on the stamp pad) and distress markers. After that, I started inking up the background in zones of color, and sprinkling with water. 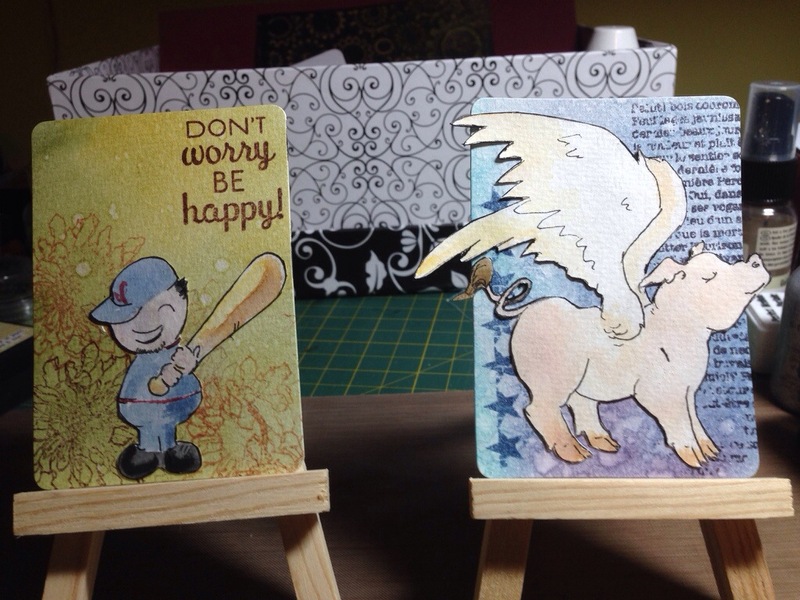 I used the outside of a previously cut ATC as kind of a viewfinder to decide just where to die cut my four cards. After I cut apart the four sections, but before I die cut, I used Perfect Pearls mist to add a bit of glimmer (I don’t think you can tell from the photos). 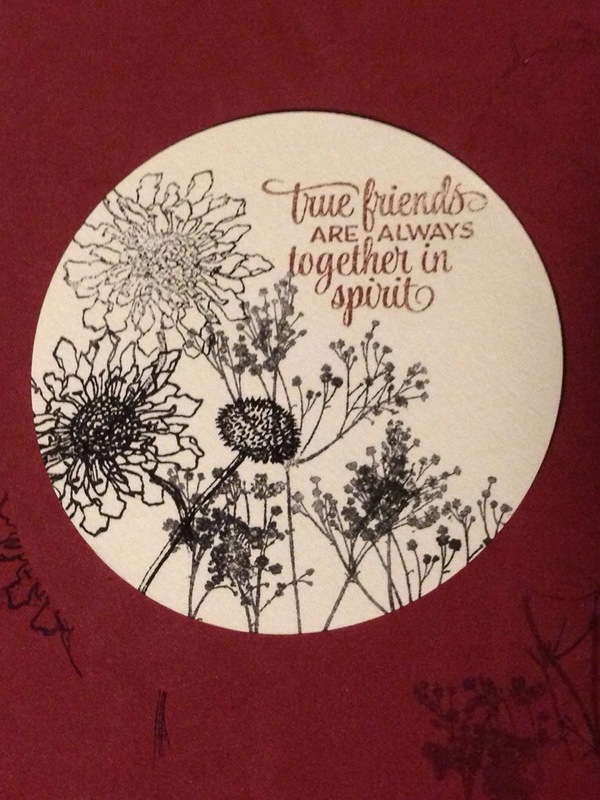 I fussy cut my three drawings (the fourth friend’s card was based on a stamped sentiment rather than a “favorite thing” drawing). Then I inked along the cut edges with the side of the brush end of a black distress marker to take care of any imperfect cutting. Do other people do that? I know some people leave a stylish white border, but I felt like that wasn’t really me. I can’t be the only person to black ink the edges, but I haven’t seen other people mention it. The rest was a matter of stamping and gluing. I put magnetic strips on the back when all else was finished. And there we have it, four ATC magnets! Learning: After doing such a vast quantity of holiday cards in such a short time, it was really refreshing to tackle something with more creative freedom. I really enjoyed trying to capture my friends’ interests in a tiny art card. I feel that using the watercolor paper was a big breakthrough since I have been gravitating towards wet techniques. 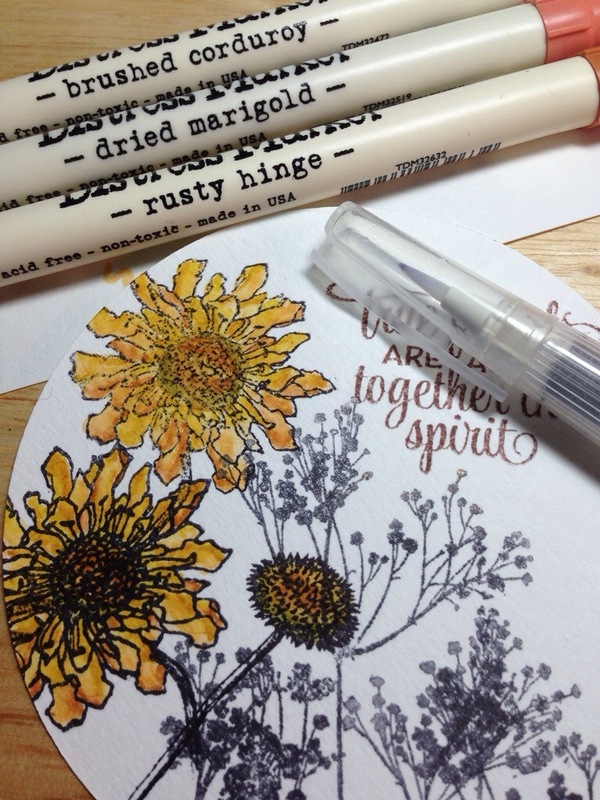 I love a good Clean & Simple card, but for non-card applications I am really enjoying the texture that can be achieved by layering inks, water, mists, dry-brushed paints, stamps, and so forth. I feel like I am still finding my paper-crafting voice, but I think that this project has taken me a long way towards refining my style. Loving: I really feel like this project made a lot of things “click” for me! 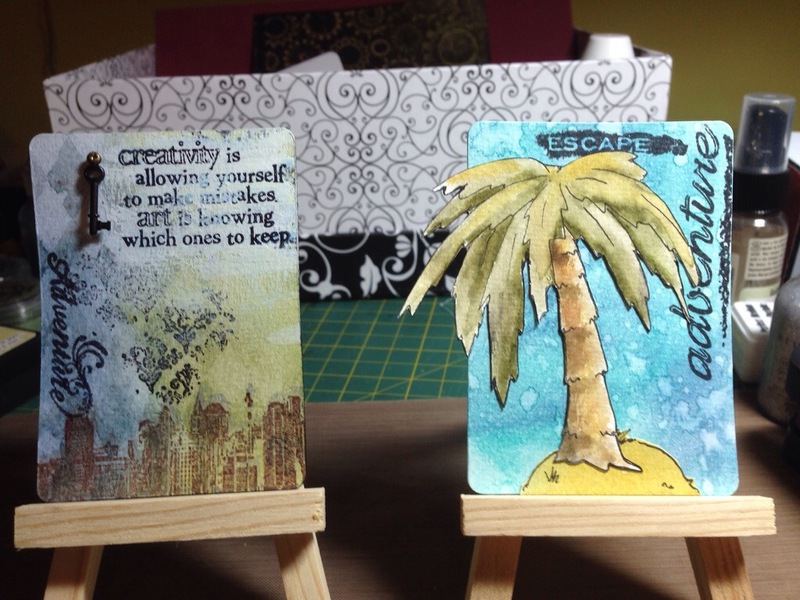 I can’t wait to do more artsy ATCs, they are such a fun size! 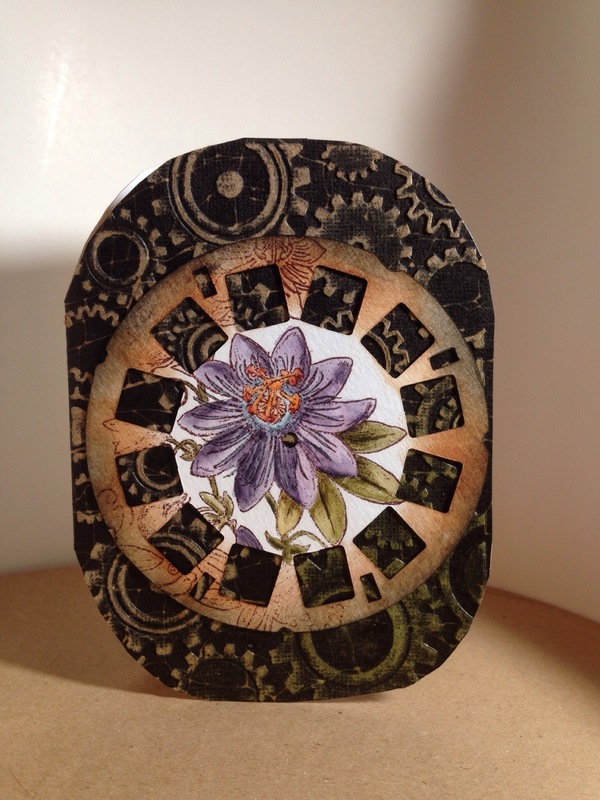 Also, I feel like for the first time, I got some of these cool Tim Holtz techniques to really work for me. I really enjoyed the watercoloring with the Distress inks and markers. I just loved watching the colors come together! 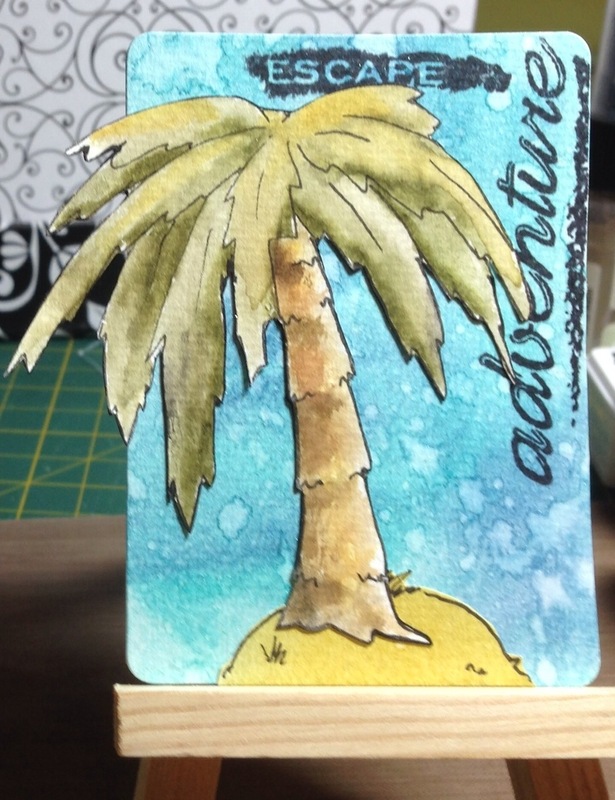 Challenge: Because of how well the beautiful blues turned out in my tropical vacation ATC, I feel compelled to enter this one in the “Blues” Challenge at the Simon Says Stamp Monday Challenge blog. I loved looking at all the design team inspiration, because blue is my favorite color!! This one is for a coworker who plans great vacations like a skilled travel agent. I feel like I really nailed that tropical turquoise blue. I hope it inspires her to dream of the next great destination!